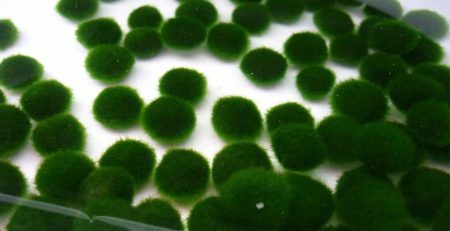 A Marimo ball is a type of algae that is a native to Lake Akan in Japan. 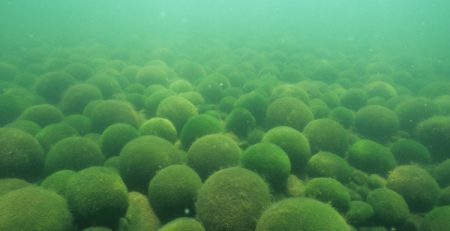 Although these balls have been observed to grow to some degree in freshwater lakes and ponds in European countries and some other lakes in Japan; only in this particular lake do they grow to be a noticeable size in perfect spherical shape. Colonies of such balls are only known to form in Iceland, Scotland, Japan and Estonia. A very easy plant, these are great additions for people who do not have a ton of time to dedicate to plant or aquarium grooming. Low maintenance could be this plant’s middle name. 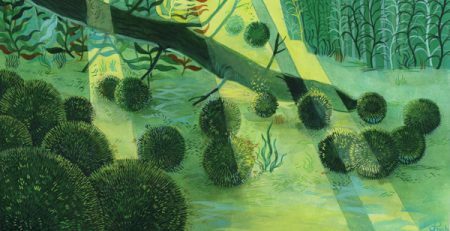 These moss balls wrap up into a tangled green ball with a soft, velvety texture. They are a smart, fuzzy plant. It’s cleverness can be witnessed throughout its day to day to activities which consist of floating up to the top of the water during the day to catch sunlight and then sinking back down at night for its rest. 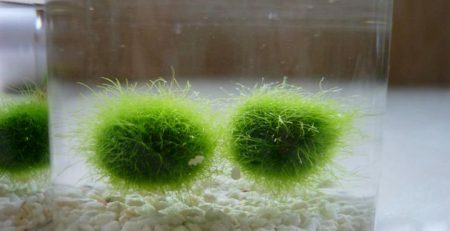 Marimo balls can live in a pond or aquarium since all types of fish are able to live with the moss and not make it hostile. 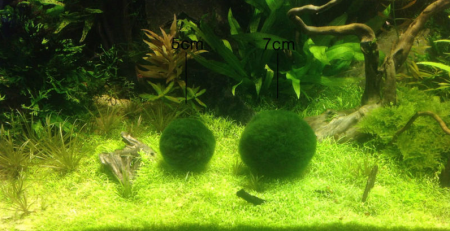 It is great for getting rid of pond algae and algae in the aquarium because the moss ball out competes the algae for nutrients since they have similar diets. Also in your pond drop a couple in and let them remove nutrients that cause that ugly green water. They are practically miniature filters. The typical growth rate is very slow at about 5 mm per year. To accurately explore the largest and the smallest in the world, one would have to travel to areas of countries most have never ventured before. 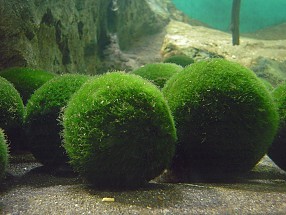 The largest of the Marimo balls can be found in its place of origin, in Lake Akan. Some of these balls are close to about 200 years old, measuring approximately 95 cm. 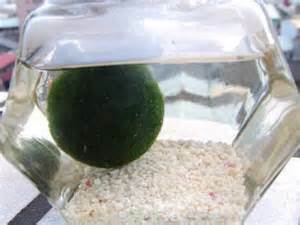 The smallest of the Marimo ball family typically measures approximately 0.8 cm. They can grow to be 10 to 12 inches in diameter — huge by algal standards — and they have the ability live up to one hundred years, adding a sense of experience to their intrigue. Their scientiﬁc name is Cladophora aegagropila but sci-ﬁ lovers often call them “tribbles,” nicknamed after their likeness to the furry “Star Trek” creatures. 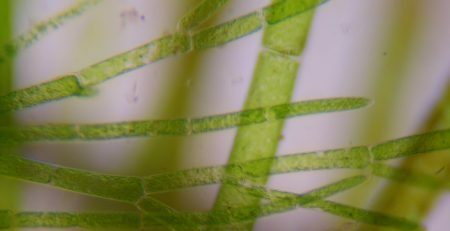 The algae that comprise the Marimos grow in odd, makeshift patterns, resulting in the spherical orbs. Their tantalizing, tangled beauty has been charming biology fans for years.